Agriculture contributes 27 percent of all Palestinian private sector output, making it a key sector for the economy. Olive oil production is of particular significance: olive trees comprise 45 percent of the total plant production in the West Bank and the annual income generated by olives and olive products is more than 20 percent of the overall national agricultural output. This project sought a demonstrative effect through supporting different players in the olive oil sector with the ultimate aim of increasing earnings across the value chain. The project framed its activities around three goals: improving access to strategic markets with growth opportunities; strengthening the supply chain and quality management of bottling companies; and strengthening the Palestinian Olive Oil Council (POOC). Improve compliance with international food standards and implement a well-defined traceability program. Support the establishment of an operational framework for marketing Palestinian olive oil for export. Support companies in improving their environmental and operational performance. Help eligible companies gain access to finance and support them in maintaining a constant supply. 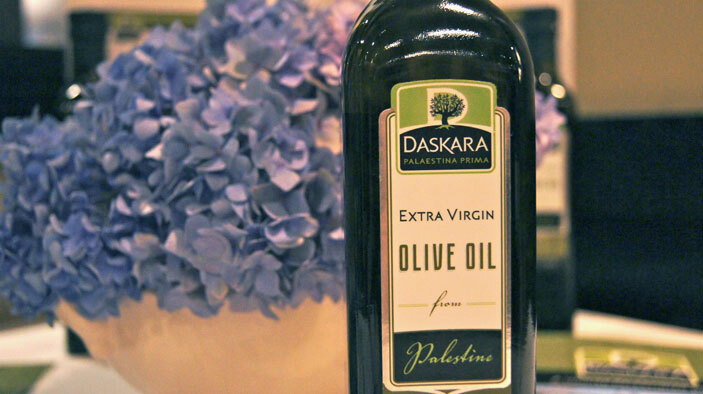 Produced high-quality video bringing the story of Palestine’s olive oil producers to life. Created manuals on international standards and production for Palestinian exporters. Created branding and supporting website for the partnership (www.daskara.com). Conducted market research to help bottling companies better understand the respective markets’ needs, standards and preferences. Market research on the export of Palestinian olive oil in target markets were conducted to assist the bottling companies in their participation in tradeshows and trade mission.